You know Jim McCabe from his multi award winning career in radio and television. His current show “PJ & Jim in the Morning” with Irish comedian PJ Gallagher won the IMRO Breakfast Show of the Year 2017 which adds to his PPI award wins from his time with 98FM and FM104. Jim is also a regular face on Irish television with a number of documentary series, entertainment shows and sports broadcasts for RTE, TV3, UTV Ireland and Setanta Sports (now Eir Sports). 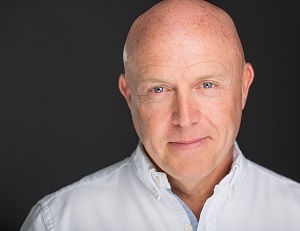 As well as being a very successful voice over artist featuring on numerous ads and programme narrations, he is an accomplished MC and event host. His style is warm and effortless but always professional and has seen him preside over all sorts of live events from Street Festivals to Awards Ceremonies and from themed Dance and Game Show nights to ‘Rose’ competitions and even White Collar Boxing! Away from all his performance roles he has a qualification in Sports Psychology and has run a gym and fitness business. To book Jim McCabe to Host your event or to talk to us about your corporate event requirements, either submit the enquiry form, email us info@carolandassociates.com or call us on 087 718 1360.